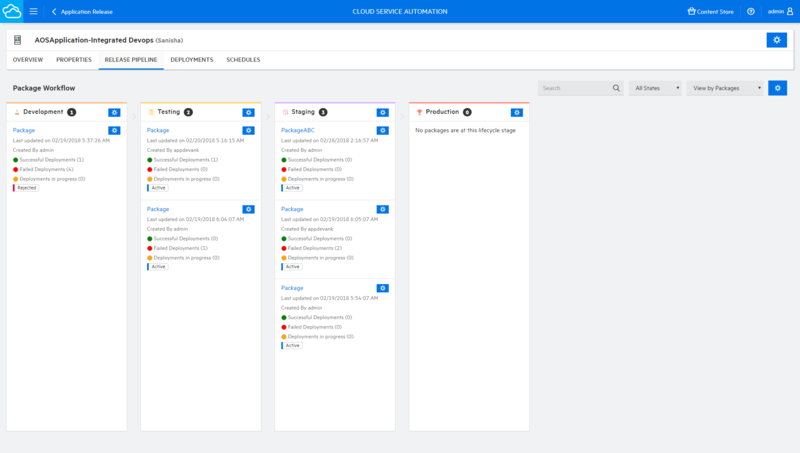 Control public cloud spending, offer cloud-agnostic services, orchestrate IT processes, accelerate DevOps practices with this enterprise-class cloud management solution deployable as a pre-integrated, containerized appliance. Publish public cloud offerings with just a few clicks and control usage with quota management. Aggregate and broker hybrid cloud services to end-users and gain visibility into costs. 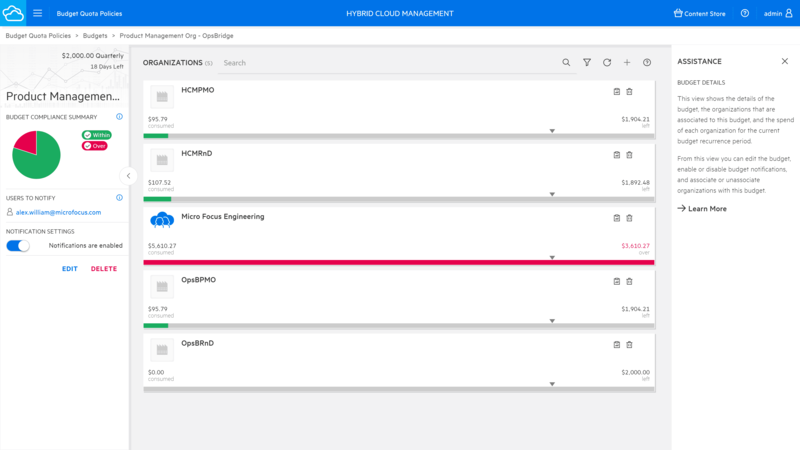 Provide a self-service portal for delivering hybrid and multi-cloud services, and simplify catalog offerings with attribute-based options. Add ChatOps to your user experience. Create reusable service templates that you design once and run anywhere. Integrate with any cloud, container, or infrastructure. Automate business and IT processes with a proven, enterprise-grade orchestration capability. Comprehensive out-of-the-box content includes database, middleware, for PaaS/XaaS support. Accelerate DevOps with on-demand consumption of services from a release pipeline that features customizable and automated stage gates. Pre-integrated containers and micro services enable you to install, scale, and upgrade in minutes. Cloud Migration: Use PlateSpin Migration Factory to move servers from one platform to another, including Physical to Cloud (P2C), Virtual to Cloud (V2C), Physical to Virtual (P2V), Virtual to Virtual (V2V), and Physical to Physical (P2P). Our customers who consume cloud services are very satisfied. Our customers can get cloud services much faster and much easier. We get better functionality with the new version ... better installation and upgrade, easier modeling tools with flexible, open architecture. Traditional thinking has been to outsource like-for-like to a lower cost environment, such as China or India. To go up another level the next step is not to outsource, but to automate these processes. Automation beats outsourcing. We chose HCM because we have a pretty fast time to deliver and they have pre-configured products which makes my time to market faster. Also they work very well with other technologies … Now we can control Public Cloud + Managed Hosted Servers + In House Servers (Private Cloud). We found PlateSpin works well in all these scenarios and we knew we could count on it where we needed to minimise downtime while dealing with many different bandwidths and a large variety of server workloads. Interested in moving servers and applications to the Cloud? 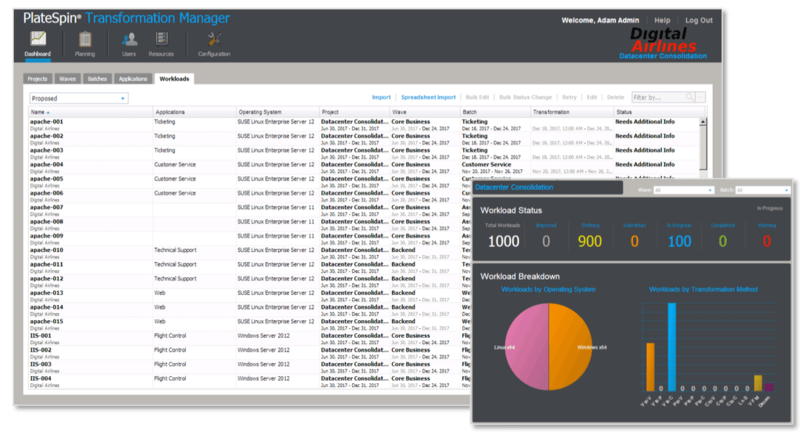 PlateSpin® Migration Factory automates and integrates the planning, execution, and management of large-scale cloud and data center migration projects, with minimal cost and risk. 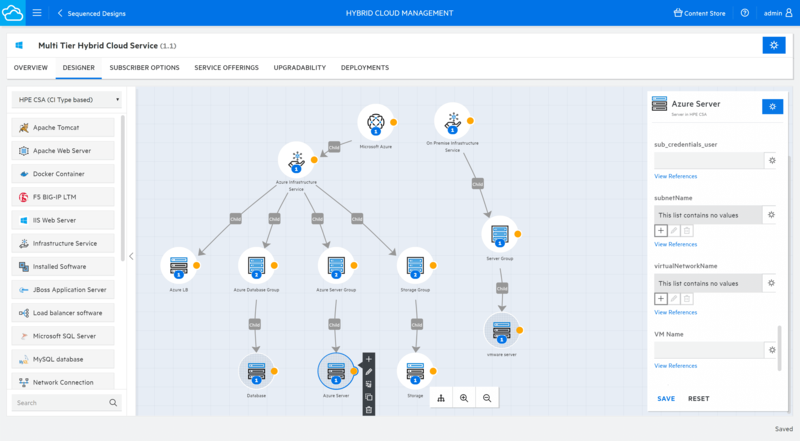 See Hybrid Cloud Management in action. Watch this video series and learn how easy it is to design, deliver, and manage services for AWS, Azure, and VMWare.